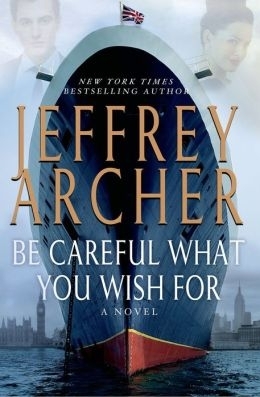 VJ Books Presents Author Jeffrey Archer! 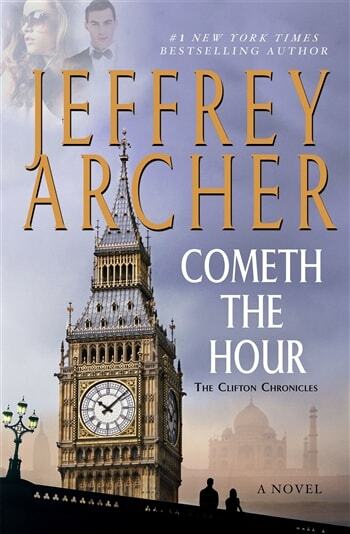 Jeffrey Archer was born in London, brought up in Somerset and was educated Brasenose College, Oxford, where he gained an athletics blue, and was President of the University Athletics Club. He is an international bestselling author, playwright, and charity auctioneer. Aged 34, determined to repay his creditors in full, he sat down to write his first novel Not a Penny More, Not a Penny Less. Written at the home of his former Oxford Principal, it was taken up by the Literary Agent, Debbie Owen, and sold to 17 countries within a year. Archer was Deputy Chairman of the Conservative Party from September 1985 until November 1986. In 1991, he was co-ordinator for the Campaign for Kurdish Relief, and he is also an amateur auctioneer, having raised more than £15 million in the last 10 years. 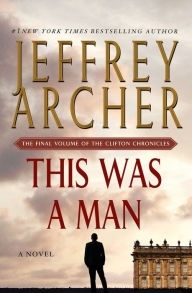 Jeffrey Archer was made a Life Peer in the Queen's Birthday Honours List of 1992. Having run a successful campaign for Mayor of London for two-and-a-half years, from 1997, Jeffrey Archer was selected as the official Conservative Party Candidate for London's Mayor in October 1999 by an overwhelming majority. In November that same year, he withdrew his candidacy, having been charged with perjury and conspiracy to pervert the course of justice. He was sentenced to four years imprisonment, and was released in July 2003, having served two years. 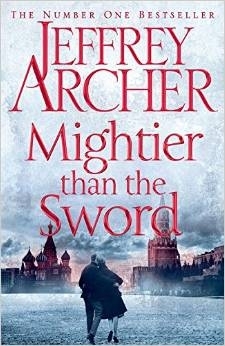 Archer has published three volumes of his Prison Diary; Volume I, Hell, a searing account of his first three weeks in the high security prison, HMP Belmarsh; Volume II, Purgatory, set in HMP Wayland, a C category prison; and the third and final volume, Heaven, about his final transfer to an open prison. 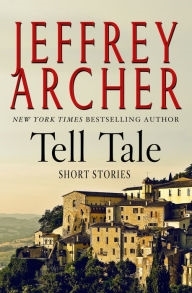 Now published in 97 countries and more than 33 languages, Jeffrey Archer is firmly established, with international sales passing 275 million copies. He is the only author ever to have been a number one bestseller in fiction (nineteen times), short stories (four times) and non-fiction (The Prison Diaries). Jeffrey has also written an original screenplay about George Mallory, called Paths of Glory, and has also completed the screenplay to his novel, False Impression. Jeffrey has been married for 51 years to Dame Mary Archer DBE, Chairman of The Science Museum Group. They have two sons, William and James, two grandsons and a granddaugher, and divide their time between homes in London, Cambridge and Mallorca. Author Signed Hardcover Book March 2014 NY: St. Martin's Press First edition, first printing, mint, new/unread in a flawless dust jacket, signed by author. Each dust jacket is protected in an acid-free archival quality acetate cover. Author Signed Hardcover Book March 2014 NY: St. Martin's Press First edition, first printing, fine in a fine dust jacket, signed by author, remainder marked. Each dust jacket is protected in an acid-free archival quality acetate cover. Author Signed UK Hardcover Book March 2014 LON: MacMillan First UK edition, first printing, mint, new/unread in a flawless dust jacket, signed by author. Each dust jacket is protected in an acid-free archival quality acetate cover. Author Signed Hardcover Book May 2013 NY: St Martin's First edition, first printing, mint, new/unread in a flawless dust jacket, signed by the author. Each dust jacket is protected in an acid-free archival quality acetate cover. Author Signed Hardcover Book May 2013 NY: St Martin's First edition, first printing, fine in a fine dust jacket, signed by the author, remainder marked. Each dust jacket is protected in an acid-free archival quality acetate cover. Author Signed UK Hardcover Book March 2013 LON: Macmillan First UK edition, first printing, mint, new/unread in a flawless dust jacket, signed by the author. Each dust jacket is protected in an acid-free archival quality acetate cover. Author Signed Hardcover Book February 2016 NY: St. Martin's Press First edition, first printing, mint, new/unread in a flawless dust jacket, signed by author. Each dust jacket is protected in an acid-free archival quality acetate cover. Author Signed UK Hardcover Book February 2016 LON: Macmillan First UK edition, first printing, mint, new/unread in a flawless dust jacket, signed by author. Each dust jacket is protected in an acid-free archival quality acetate cover. Author Signed Hardcover Book 2006 NY: St Martin's First edition, first printing, mint, new/unread in a flawless dust jacket, signed by the author. Each dust jacket is protected in an acid-free archival quality acetate cover. Author Signed Hardcover Book 2006 NY: St. Martin's Press edition, first printing, near-fine (bumped bottom) in a fine dust jacket, signed by the author. Each dust jacket is protected in an acid-free archival quality acetate cover. Author Signed Hardcover Book 2006 NY: St Martin's First edition, first printing,fine in a fine dust jacket, signed by the author. Each dust jacket is protected in an acid-free archival quality acetate cover. Author Signed Hardcover Book. November 2018 NY: St. Martin's Press First edition, first printing, mint, new/unread in a flawless dust jacket, signed by the author. Each dust jacket is protected in an acid-free archival quality acetate cover. Author Signed UK Hardcover Book. November 2018 LON: Macmillan First UK edition, first printing, mint, new/unread in a flawless dust jacket, signed by the author. Each dust jacket is protected in an acid-free archival quality acetate cover. Author Signed Hardcover Book. 1993 NY: HarperCollins First edition, first printing, near-fine (pages toned) in a fine dust jacket, signed by the author. Each dust jacket is protected in an acid-free archival quality acetate cover. Author Signed Hardcover Book February 2015 NY: St. Martin's Press First edition, first printing, mint, new/unread in a flawless dust jacket, signed by author. Each dust jacket is protected in an acid-free archival quality acetate cover. Author Signed UK Hardcover Book February 2015 LON: Macmillan First UK edition, first printing, mint, new/unread in a flawless dust jacket, signed by the author. Each dust jacket is protected in an acid-free archival quality acetate cover. Author Signed Hardcover Book August 2011 NY: St Martin's First edition, first printing, mint, new/unread in a flawless dust jacket, signed by the author. Each dust jacket is protected in an acid-free archival quality acetate cover. Author Signed Hardcover Book March 2009 NY: St. Martin's Press First edition, first printing, mint, new/unread in a flawless dust jacket, signed by the author. Each dust jacket is protected in an acid-free archival quality acetate cover. Author Signed Hardcover Book March 2009 NY: St. Martin's Press First edition, first printing, fine in fine dust jacket, signed by the author, remainder marked. Each dust jacket is protected in an acid-free archival quality acetate cover. Author Signed Hardcover Book 2008 NY: St Martin's First edition, first printing, mint, new/unread in a flawless dust jacket, signed by the author. Each dust jacket is protected in an acid-free archival quality acetate cover. Author Signed Hardcover Book 2008 NY: St Martin's First edition, first printing, fine in a fine dust jacket, signed by the author. Each dust jacket is protected in an acid-free archival quality acetate cover. Author Signed Hardcover Book April 2012 NY: St Martin's First edition, first printing, mint, new/unread in a flawless dust jacket, signed by the author. Each dust jacket is protected in an acid-free archival quality acetate cover. Author Signed* Hardcover Book. 2003 NY: St. Martin's Press First edition, first printing, fine in a fine dust jacket, *author-signed bookplate on FFEP. Each dust jacket is protected in an acid-free archival quality acetate cover. Author Signed Hardcover Book. 2003 NY: St. Martin's Press Publishers First edition, first printing, fine in a fine dust jacket, signed by the author. Each dust jacket is protected in an acid-free archival quality acetate cover. Author Signed Hardcover Book. November 2016 NY: St. Martin's Press First edition, first printing, mint, new/unread in a flawless dust jacket, signed by the author. Each dust jacket is protected in an acid-free archival quality acetate cover.